Madame Plantier roses heralding in the 1st Day of Spring! 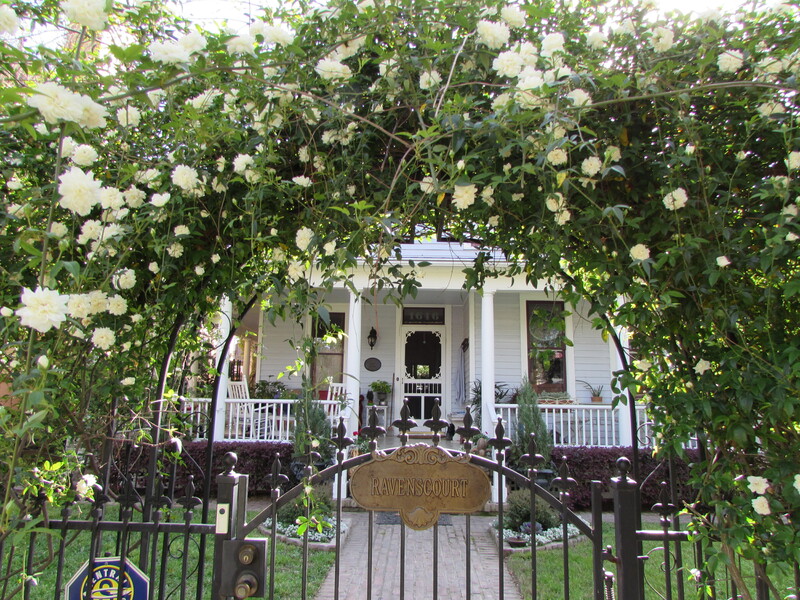 I planted these beautiful white old roses on the wrought iron arch that flanks our front gate as a complement to our 1905 Victorian home. I’ve read that they are often found growing on old homesteads and in abandon cemeteries. I wanted to plant roses that would have been here when the house was new. 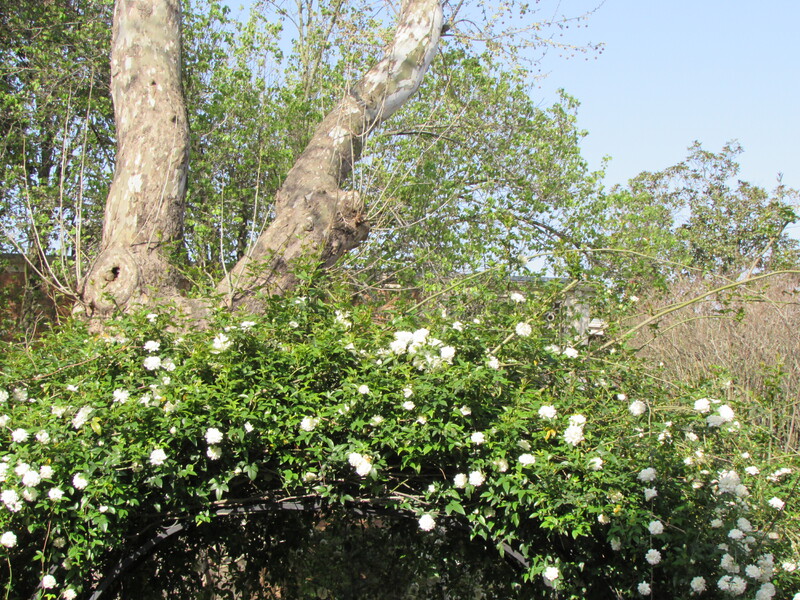 Madame Plantier’s history makes it a very hardy climbing rose that can bloom even in the worst of conditions. Ours has bloomed faithfully for the first of spring each year since I planted them about 12 years ago. That is except 4 years ago! I remember because my husband and I decided to have our wedding blessing on the 1st day of spring! I imagined how lovely the roses would look and how fun it would be to have people sitting outside enjoying the garden while we held our ceremony. That winter was quite cold and the roses where still asleep. The day of our celebration it was so cold we had freezing rain and sleet. We did squish everyone inside and had a wonderful time! Little white roses catching the morning light! 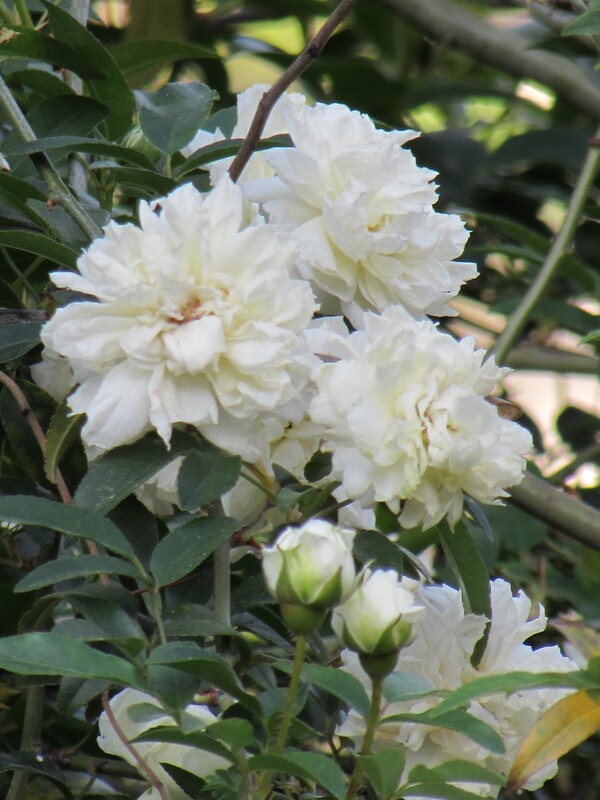 The meaning of white roses: innocence, purity, honor and reverence. They are traditionally associated with marriages and new beginnings. You have one of the most welcoming entrance ways I have ever seen. So lovely and peaceful. Sorry to hear about the one year they decided not to bloom on time. Pretty cheeky!